Swansea Scrutiny Councillors met with the Headteacher and the Chair of Governors of Burlais Primary School to discuss how the school is working to continually improve. 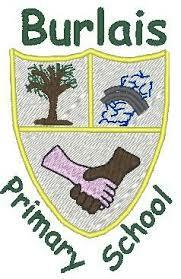 Councillors heard from the Headteacher that it is a new school that is an amalgamation of two primary schools. That it is a large primary school with currently 553 pupils on role and that this is also reflected in a large teaching and support staff. From their discussion with the Headteacher and Chair of Governors Councillors concluded that the improvements made at the school are bearing fruit and there is a much improved picture from the time of the original Estyn Inspection in 2017. This has also been evidenced by the school being removed from any Estyn follow up activity in December 2018. The school having a supportive, engaged and challenging governing body that has the necessary skills to help to drive improvement. The Headteacher and Senior Management Team at the school are driving that improvement fully. The schools willingness to work with, and receive support from, the local authority and the Education Improvement Service. The milestones for improvement that were put in place after the inspection have/are been adhered to. The school learning from and sharing their good practice with other schools. The school having strong support from parents and the local community with the school working taking its role in the community seriously. The Panel thanked and wished to congratulate the Headteacher and the governing body at the school for their hard work and commitment to this improvement journey which they feel is clearly showing to be successful.